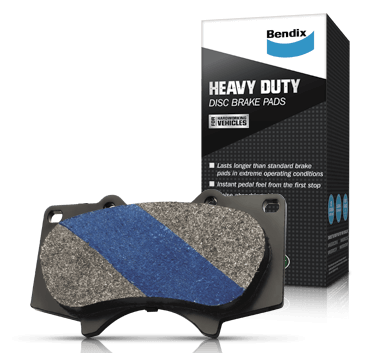 Bendix Heavy Duty brake pads are a multi-purpose brake pad specially formulated to deliver heavy duty performance for all load carrying situations. Featuring the exclusive time saving Titanium Stripe, they deliver positive pedal feel from the moment you drive out of the workshop. The pads also feature a specially formulated insulation layer between the friction material and the backing plate for cooler braking and longer wear life. Choose Bendix Heavy Duty for ute’s, courier vans and pick ups and wherever you have heavy duty towing or load carrying situations. Is Bendix Heavy Duty the Right choice for your car?